What Does Code P2004 Mean? If your OBD II equipped vehicle has stored a code P2004, it means that the powertrain control module (PCM) has detected a malfunction in the intake manifold air control (IMAC) actuator for engine bank one. This code indicates that the actuator is stuck in the open position. 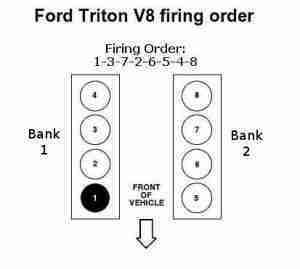 Bank 1 refers to the bank of the engine that contains the number one cylinder. 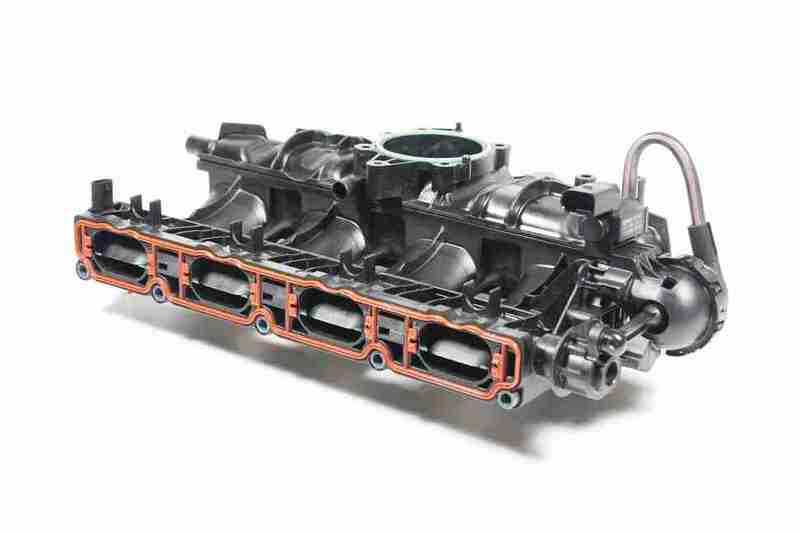 The IMAC system is used to manage and fine tune the air entering the lower intake manifold, the cylinder heads, and eventually the combustion chamber. 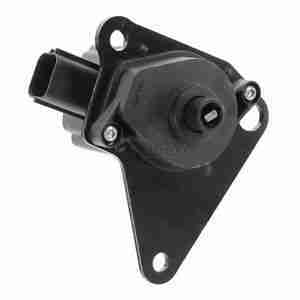 The (PCM controlled) actuator solenoid opens/closes metal flaps which fit snugly into the intake port for each cylinder. The flaps are bolted to a thin metal rod that runs the length of each cylinder head and through each intake port so that all of the flaps may be opened at the same time and with one motion. The actuator is attached to the rod with a arm or cog. In some cases, the actuator is operated using a vacuum diaphragm. In this type of system, an electronic solenoid controlled by the PCM, regulates intake vacuum to the vacuum actuator. In restricting and channeling the air as it is drawn into the engine, a swirling effect is created. This swirling effect helps the air/fuel mixture to be atomized more completely; reducing exhaust emissions, improving fuel efficiency, and optimizing engine performance. Different manufacturers utilize the IMAC system in diverse ways. Consult All Data (DIY) for the specific operating principles of the IMAC system with which your vehicle is equipped. Typically, the IMAC runners are partially closed during starting and idling conditions and opened fully during open throttle conditions. The PCM monitors input signals from the IMAC runner position sensor, manifold absolute pressure (MAP) sensor, manifold air temperature sensor, intake air temperature sensor, throttle position sensor, the oxygen sensors, and mass airflow (MAF) sensor (among others) to determine whether or not the IMAC actuator is functioning properly. 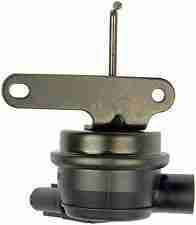 If the system uses an intake manifold runner sensor, the PCM monitors actual runner position and reacts accordingly. If the PCM fails to see a significant change in MAP or manifold air temperature, in accordance with desired repositioning of the flaps (by the IMAC actuator), a code P2004 will be stored and a malfunction indicator lamp may be illuminated. Multiple ignition cycles, with an IMAC actuator failure, may be required for the MIL to be illuminated. What are the common causes of code P2004? What are the symptoms of code P2004? How do you troubleshoot code P2004? A suitable diagnostic scan tool, a digital volt/ohmmeter, and All Data DIY should be available when attempting to diagnose a code P2004. Check technical service bulletins for the affected vehicle before beginning your diagnosis. I usually begin with a visual inspection of system wiring and connector faces. It seems that IMAC actuator connectors are prone to corrosion that could cause an open circuit, so check these carefully. Connect the scanner to the vehicle diagnostic connector and retrieve all stored codes and freeze frame data. You will want to write this information down in case this proves to be an intermittent code. Now, clear the codes and test drive the vehicle to see if the code is reset. If the code is immediately reset, gain access to the IMAC actuator solenoid and IMAC runner position sensor. Use the DVOM to perform a resistance test on both components. Consult your vehicle information source for exact specifications for your vehicle. If the actuator, or the position sensor, fails the resistance test, replace it and retest the system. If actuator resistance and sensor resistance coincide with manufacturer’s specifications, use the DVOM to test resistance and continuity on all system circuits. To avoid controller damage, disconnect all related controllers before testing. Repair or replace shorted or open circuits as needed. I have honda city 98 and i prepare clianing ang i saw engine motor number:P3RD6 P200400…my question is what size my engine car…???? 2.0 or 1.6L…??? ?